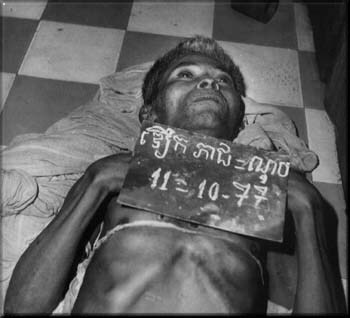 These one hundred haunting photographs of helpless Cambodians facing death were token in a secret prison in Phnom Penh, between the middle of 1975 and the first few days of 1979. Several of the prisoners have just hod their blindfolds removed. As they stare at their captors, they have no idea where they are, who is taking the pictures or what will happen to them. None of them was ever released. After torture and interrogation, sometimes stretching over several months, all of these men, women and children were brutally put to death. In those days the prison was known by its code name, S-21. Cambodia, under its Communist rulers, called itself Democratic Kampuchea (DK) and was probably the most revolutionary government in the world. The country was led by a smooth featured, soft spoken former schoolteacher named Saloth Sar, who used the pseudonym Pol Pot. He was the secretary general of Cambodia's Communist party, known since pre-revolutionary times to outsiders as the Red Khmer or Khmer Rouge. He kept himself hidden, and so did the party. People outside its ranks knew only of a shadowy, omnipotent revolutionary organization (Angkar padevat) which had as many eyes as a pineapple." Angkar, they were told, had taken the place of their parents and had to be obeyed. The human costs of the revolution were horrific. In less than four years, a million people, or one Cambodian in seven, died from starvation, malnutrition and misdiagnosed or mistreated illnesses. Another 200,000, including everyone pictured here, were exe cuted as enemies of the state. These are conservative estimates. The exact number, which could easily be higher will never be known. It is impossible to come to grips with figures of this kind. 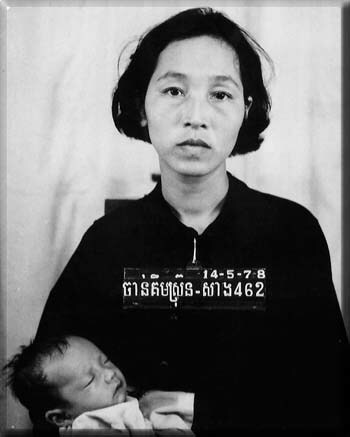 In terms of Cambodia's total population they resemble those in the Holocaust in World War II. Stalin's collectivization of the Ukraine in the 1930's or the massacres in Rwanda in 1994. It may be easier to bear witness to so many victims and to understand the killers as we must if we concentrate on fewer palpable examples. From this perspective the people pictured here are poignant important and unique. Frozen by the lens they stare out at their captors. Nearly twenty years later they are also regarding us. Their expressions ask their captors: Who are you? Why am I here? and ask us: Why did this happen? Why have we been killed? Mute imploring irrefutable their faces indict Pol Pot, his paranoia and the demented Utopian policies of his regime. When the Communists seized power in April 1975 they swiftly evacuated all cities and towns forcing over two million people into the countryside to take up rural work. On this impromptu long march (some city dwellers were walking for a month) thousands of people especially children and the elderly. died. The new regime also abolished money markets newspapers private property and schools. Family life and freedom of movem ent were restricted. Religious practices were forbidden. Everyone was made to wear the block cotton pajamas that peasants wore when they were working. According to a spokesman two thousand years of history had ended and a new revolutionary era without opp ressors or oppressed had begun. In effect Cambodia became a gigantic prison farm. While a few peasants and party members posed triumphantly for propaganda shots most Cambodians spent the Pol Pot era doubled over working twelve or more hours a day with ina dequate food their every movement monitored by heavily armed young soldiers. In mid-1976 Pol Pot set a Four Year Plan in motion that was intended to modernize Cambodia break down class divisions and lead to communism on a national scale. He proposed to triple Cambodia's agricultural output everywhere and at once, using the funds e arned from exports to finance industrialization. The scheme was drawn from Soviet and Chinese models and had no relation to reality. Cambodia had just emerged from five years of ruinous civil war. Its infrastructure was badly damaged. Its labor force whic h included over two million half-starved city dwellers was expected to perform a miracle without tools, guidance, livestock or material incentives. Pol Pot was an fervent admirer of Maoist China. Like Mao, he believed that zeal was what made revolutions work. Over 4,000 Chinese volunteers, some of them pictured here on a tour of Cambodian archaeological sites, assisted the regime. Borrowing the phras e great leap forward from China to describe his Four Year Plan, Pol Pot led Cambodia over a precipice, into the dark. Most of the deaths that ravaged Cambodia in 1976-1977 can be traced to DK's rejection of western-style medicine, its harsh work schedules and its paranoia. They also stemmed from empowering ignorant young cadre and from communication breakdowns between th e center and the countryside, where the regime's policies came apart. The center gave orders and demanded positive results. Local officials were as terrified of Angkar as everybody else. They falsified reports to save themselves. Harvests were po or, for example, but quotas of rice and other crops set by the center had to be met. As agricultural surpluses were shipped to the capital, food intended for local consumption disappeared. Thousands of people starved, and when news of their deaths reached the center, hundreds of cadre were arrested for having sabotaging the plan. By the end of 1976, when Pol Pot learned that his plan had failed, he was also shaken by Mao's death in China and by what he perceived as an emerging pro-Vietnamese faction inside the Cambodian Communist party. As far as the Four Year Plan was concerned, he refused to blame himself, his colleagues or his Utopian agenda. Instead, like Stalin and Mao in similar circumstances, he accused enemies of sabotage. Some, he said, were buried inside the CPK and allied with others (i.e. Vietnam). He culled them as mi crobes and promised to burn them out. Ho also blamed bourgeois elements who had survived from the previous regime. At the same time he purged pro-Viotnamese members of his party. Many of his victims were among his oldest colleagues in the movement. In the closing months of 1976 as Cambodia began to come apart Pol Pot believed that he was surrounded by enemies. Murders and arrests already widespread modulated into a systematic reign of terror that lasted until the regime was overthrown by a Vietnamese inva sion in January 1979. In the countryside where most of the murders occurred victims were token singly or in groups from prisons homes and work sites usually at sunset and executed at killing fields nearby. Documentation of these deaths if it ever existed has disappeared. So ha ve the bodies of most of the victims. After 1979 however, many of the killing fields were discovered. The remains of thousands of victims were exhumed. Some had been shot or suffocated with plastic bags. Most of them had died by having their skulls smashe d in with shovels hoes and iron bars. 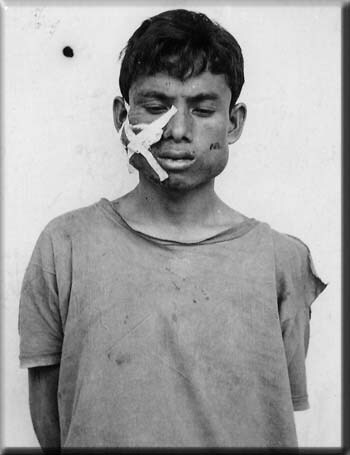 This method of killing reflected the literal-mindedness of many of Pol Pot's cadre who were told by their superiors to smash (komtec) the enemies of Angkar. Men and women suspected of serious crimes and accused of treason were brought from the countryside and imprisoned in secrecy in S-21. 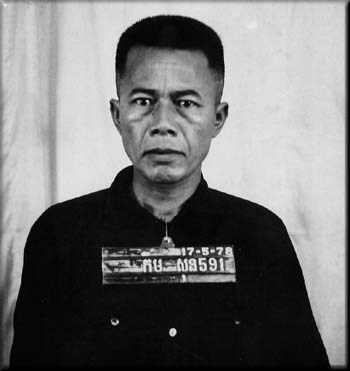 The administrator of the prison working closely with Pol Pot was another former teacher, Khang Khek leu (Duch) then in his mid-30s. Many of the confession texts from S-21 contain his neat. fastidious annotations. mocking the prisoners demanding more evide nce permitting torture to continue. S-21 like Duch's classrooms in pre-revolutionary times was a smoothly run facility. Duch himself was a hard working and perhaps even popular leader. In his photographs however as he looks up from a file or saunters good -nuturedly into the S-21 mess-hall he is a chilling figure. The three pens in his shirt pocket incidentally are symbols of his exulted status. 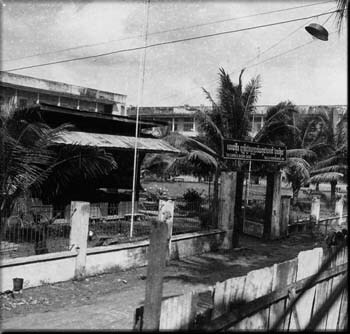 Duch's little empire was located on the grounds of a former high school in the Phnom Penh district of Tuol Sleng. The prison occupied four three-storey buildings arranged in a quadrangle. around an open area that had once been used for recreation and asse mblies. The facility was surrounded by a corrugated tin fence and two barbed wire enclosures guarded at all times by fifty soldiers. Inside S-21, some classrooms wore transformed into cells where 40 to 100 low status prisoners were shackled together on arrival. Classrooms on the ground floor wore reserved for relatively important people like Touch Phoeun, shackled to their beds. On the upper storeys classrooms were subdivided into cramped one-person cells where loss important prisoners undergoing interrog ation were bolted by log irons to the floor. A large room on the second storey was reserved for female prisoners. Some of these women were accused of crimes but the majority it seems were the wives and daughters of male prisoners. One was Chan Kim Srun, the wife of an official. She was arrested in 1978 and was photographed holding her child. As she was photographed she wept. In 1977 and early 1978. 1000 to 1 500 prisoners were held in S-21 at any one time. Some were there for a few days but most were tortured and questioned for at last a month. The most important suspects were detained for lengthy interrogations and subjected to repeated torture sessions. Their sojourns in S-21 in some cases ran for several months and their confessions, when assembled covered hundreds of typed or handwritten pages. The stories that they were made to tell suggested that they had been employed for many years by foreign governments to undermine the revolution — charges so absurd in most cases as to suggest that nearly all the people confined and executed at S-21 were innocent of any serious offenses. Nearby houses provided quarters for the staff which numbered around two hundred including cooks medical personnel. clerk-typists artisans. interrogators and guards. Outside the compound lived a detachment whose members cultivated the rice and vegetables consumed inside the prison. Most of the staff were recruited from Cambodia's rural poor. Nearly all of them were teenagers or in their early twenties. Many were illiterate. Typists and interrogators on the other hand were better educated and some must have been chosen because their handwriting used in recording confessions was so neat. Most of their supervisors whose comments appear in the margins of the confessions had boon school-teachers in pre-rovolutionary times. S-21 was a top secret facility. Its existence was known only to prisoners, prison officials and a handful of high ranking Khmer Rouge. When suspects were arrested they were not told that they were going to S-21. Instead, they were called to study or "summ oned for consultation. To industrial workers quartered nearby the prison was known only as a place where "people went in but never come out. 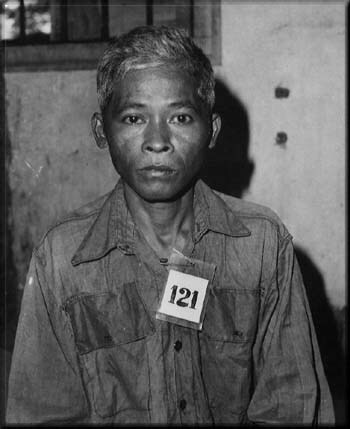 Because prisoners at S-21 were often accused of plotting to overthrow DK their confessions were of interests to Pol Pot who is referred to in S-21 documents as "the organization or as brother number one" (bong timuoy), eerily recalling Big Broth er in George Orwell's futuristic anticommunist novel 1984. 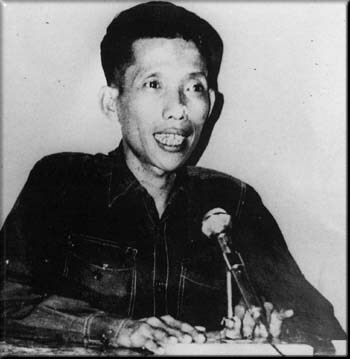 Copies of important confessions and summaries of related texts were routed to the minister in charge of national security Son Sen or to Pol Pot himself with comments by Duch and his associates. Pol Pot's and Son Sen's replies have not survived. 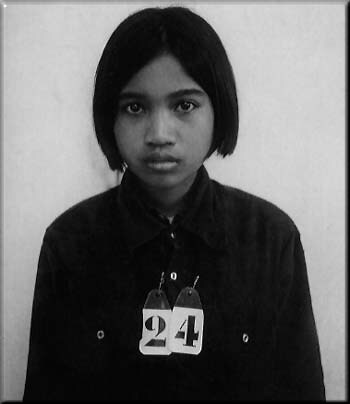 Because of Angkar's interest in S-21 the prison's operations were probably the most fully documented ones in Cambodia at the time. 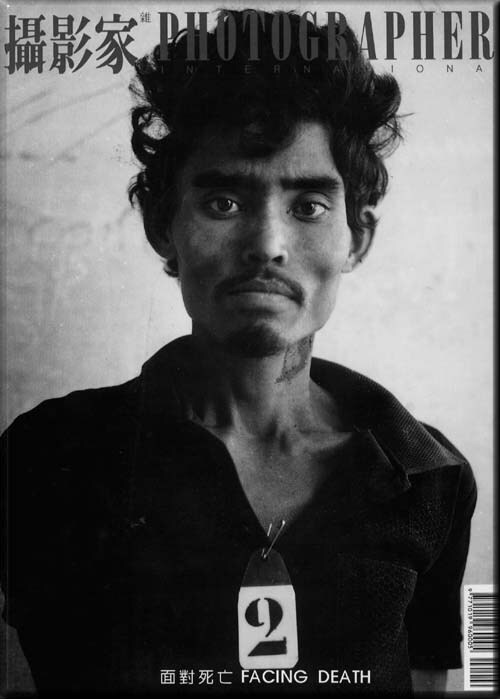 On arrival prisoners were tagged photographed and made to fill in autobiographical forms. According to Heng Nath o ne of only seven people known to have survived incarceration the next few days were marked by frequent scheduled beatings. Prisoners were given little food. no exercise and hardly any time to sleep. When interrogations began the prisoners were exhausted d isoriented and suggestible. Many confessed to "treasonous activities without being tortured. 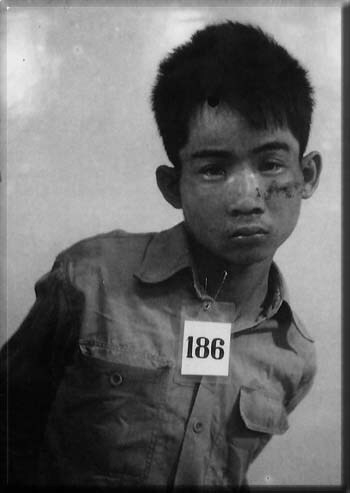 Others were broken by tortures so intense that several prisoners died. Still of hers committed suicide one by grabbing a sentry's gun to shoot himself and another who flung himself off the balcony that encircled the third floor of the prison. As the confessions were prepared in multiple copies and as prisoners poured into S-21, an enormous archive of photographs, administrative materials and confessions was built up. It has come down to us almost by chance. The Vietnamese army that reached Phn om Penh on January 8, 1979 found an abandoned city. When their patrols stumbled across the prison, they discovered the bodies of a dozen recently murdered prisoners whose blood was still drying on the floor. Journalists from Communist countries were token through the prison before the month was over. By then, mass graves in the vicinity had been dug up. The journalists were sickened by what they saw and smelled. Toward the end of the year after Vietnam had installed a sympathetic Cambodian regime in Phnom Penh, S-21 was transformed with East German assistance into a Genocide Museum. Photographs, confession texts and other documents were organized into files. Places where prisoners were tortured and had slept were left undisturbed. Thousands of photographs of prisoners and selected pages of confessions were mounted on the walls. Weapons of torture, photographs of killing fields, busts of Pol Pot curved by prisoners, abandoned clothing, fetters, chains and a survivor's paintings of torture completed the gru esome exhibition. In 1980 the archive was opened to foreign scholars. At that point, it consisted of roughly 6,000 photographs, 4,000 signed confessions covering over 200,000 typed and handwritten pages and perhaps 20,000 pages of administrative material, including noteboo ks of instructions for interrogators, entry-lists, execution lists and miscellaneous periodicals and pronouncements. The photographic archive was cleaned and cataloged by the Photo Archive Group in 1994, after the American photographers Chris Riley and Do ug Niven discovered thousands of negatives stored in a rusty file cabinet. apparently forgotten and already damaged by humidity and insects. The written archive has been microfilmed by Cornell University and the Cambodian Ministry of Culture, which administers the museum. It covers 187 reels of film documents on microfilm suggest that between the end of 1975 and the first ten days of 1979 appr oximately 14,200 people were imprisoned there. According to entry records, some 200 prisoners were taken there in 1975. Over ton times as many entered in 1976, while the figures for 1977 and 1978, when the purges reached their climax, wore over 6,000 and slightly fewer than 5,000 respectively. The last confessions were typed up and filed and the lost photographs token only days before the Vietnamese arrived. The reign of terror slowed down somewhat in 1978, but there is nothing to suggest that the killing would have stopped or that S-21 would hove been shut down, had Pol Pot remained in power. Indeed, when confronted with evidence about S-21 in the 1980's,an important Communist figure, Khieu Samphan, blamed to collapse of the regime on the fact that it had moved too slowly against its enemies. In fact, the archive from S-21 provides awesome proof of the French politician Vergniaud's statement in 1793 that rev olutions, like Saturn, devour their own. Although Stalin's show trials in the Soviet Union in the 1930s and the so-called "rectification" campaigns in China ten years later provided precedents and models for Cambodian behavior, what happened at S-21 was different in several ways. To begin with, none of the Cambodian confessions was public. Moreover, none of the prisoners went on trial. Finally, whereas some of the people put on trial in the Soviet Union and most of those reformed or rectified in China went on to serve prison sentences, all the p risoners in S-21, even small children, were put to death. Only seven prisoners are known to hove survived. 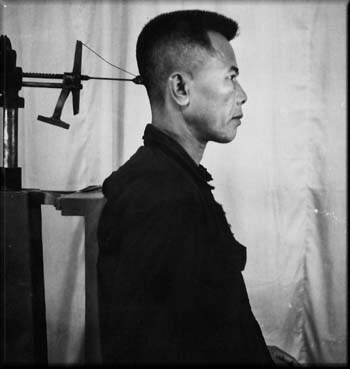 Similarly, the Chinese and Vietnamese programs of reeducation, rectification and reform (often called brain-washing in other countries) aimed, at le ast in theory, at altering the thought patterns of the accused so that they could mend their ways and serve the party. There is no term in Cambodian, as there is in Chinese and Vietnamese, for reeducation or reform. Instead, as in the Soviet show trials, prisoners at S-21 were made to destroy themselves in suicidal rituals that displayed the power of the party: in the Cambodian case, the audience for this display, the leadership itself, was very small indeed. There are some interesting parallels also between S-21 and earlier Cambodian regimes, whose leaders hardly ever explained themselves or sought support from the population. Instead, concealed inside their palaces, they used their time and energy to display and augment their funds of power. Governors were said to eat the provinces they controlled. Power was its own justification and its own reward. Raw power, of the sort we encounter in these terrified expressions, is on display in the bus reliefs at the tw elfth century Cambodian temple of Angkor Wat, where prisoners of war are seen being walked away, yoked at the neck, while other enemies are being smashed to benefit the ruler in whose honor the temple was built. As in S-21, there is no question of anyone being released, forgiveng, or treated fairly. In other words, there are some things uniquely awful, and perhaps identifiably Cambodian, about S-21, Pol Pot and his macabre revolution. There are also things that are identifiably Communist, and drawn from China, Vietnam and the former Soviet Union. But terror is not a left wing, Cambodian monopoly. Instead, the photographs and confessions need to be seen in a wider context. as dismal testimonies to inhumanity, misdirected passion, objectified paranoid fantasies and mangled hopes. The world of S-21, nonetheless, was a completely human world. What happened there was evil, but neither the photographs, the confessions nor the way the prison was run have come to us from another planet. Instead, once the photographs have made us frighte ned, nauseous and angry, as they must, they cry out for compassion and understanding. David Chandler was born and raised m New York City and educated at Harvard College. Yale University and the University of Michigan. He served for two years in the US Army and was a US Foreign Service Officer with the Department of State for eight year s. In 1960 he was posted to Phnom Penh. In 1966 he resigned from the diplomatic service to return to academic life. He has taught Southeast Asian history (specializing in Cambodia, Vietnam and Thailand) at Monash University in Australia for the last twent y-two years. He has written several books about Cambodia, including A history of Cambodia (1983: 2nd edition, 1992): The Tragedy of Cambodian History: Politics War and Revolution Since 1945 (1991) and Brother Number One: A Political Bibliography of Pol Pot (1992). Doug Niven and Christopher Riley, discovered the damaged collection of negatives at the site of S-21, which in recent years has become a museum dedicated to those who died in the purges. The two photographers dedicated themselves to cleaning the negatives and printing the haunting collection of photographs of long-dead Cambodians.